When you buy Vermont wood products you support thousands of workers within the industry from the landowner and forester, to the logger and sawmill operator, and then finally to the fine woodworker. In 2013, the VWWC took on a colossal project with the creation of a 50’ life-size diorama telling the story of our working landscape, from a tree in the forest to the products in your home, at the annual Vermont Wood & Forest Festival. From woodland owners to foresters, loggers and truckers to sawmills, woodworkers to consumers – all play a crucial role in conserving the landscape we enjoy. 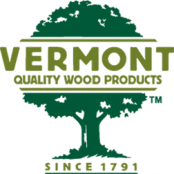 Thank you for considering Vermont when you are purchasing wood products for your home or project!